Delivering Cannabis Seed Art to the UK Since 2000! Afropips first started shipping super-potent African strains from their super-secret lair back in 2000 with primary goal of satisfying the delicate palettes of the most distinguished cannabis connoisseurs as well as the medical requirements of the Afroman. Buy Rich, Plump Afropips' Seeds from Rhino Seeds Today! This Cannabis strain is based on the extremely psychoactive Malawi White Russian line. In addition, this strain has been sweetened with the candied Sweet Tooth 3, Grapefruit line & combined with a Congo Nepalese (IBL). Malawi Gold is renowned as one of the Most Potent Psychoactive Pure African Landrace Sativas currently in existence to date!!! Afropip’s Superior First Grade Malawi Gold was selected from 10 years experience with TOP Malawi growers. It exhibits extreme Malawi Gold Hybrid vigour and when grown indoors, Maberry is characterized by its long central cola, which produces loads of crystal laden "crazy berries". 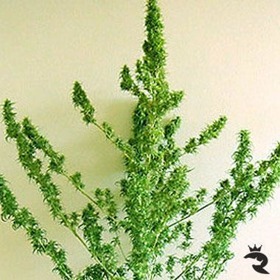 It is a high THC Cannabis plant. 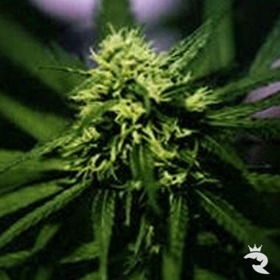 The user experiences an extremely hashy and pungent high coupled with the heavy numbing buzz from the Afghanistan (IBL). This variety exhibits excellent first generation hybrid vigor and is guaranteed not to disappoint. Afropips is Ready & Waiting to Take You on a Wild Weed Safari! Ready for a little THC-enriched adventure? Afropips can deliver that and more! Specializing in the richest African genetics, this breeder offers both energizing Sativas and more laid-back & relaxing Indicas as well as more than a few mixed hybrids. As a close & personal friend (maybe even a distant relative), Afropips delivers nothing but the freshest cannabis seeds to The Rhino. Every batch has been recently harvested & each bean is roaring to go! Totally organic, these medicinal seeds are bursting with power and overflowing with general goodness. We highly recommend each and every strain in this collection. 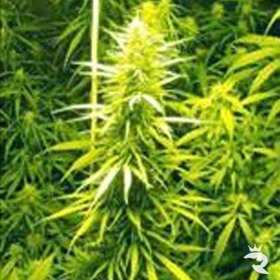 Along with Afropips extraordinary quality, you'll get all the Rhino perks with each pack of fabulously exquisite marijuana seeds. We back every order with our trademarked best-price promise, a 100% delivery guarantee, absolutely discreet packaging & a big, old, wet Rhino kiss to seal the deal! Sounds tempting, huh? What'cha Waiting For? Order Your 100% Genuine Afropips Today!